Tip: Once the 360-degree viewer loads, click and drag the image above to explore Steamboat Springs! 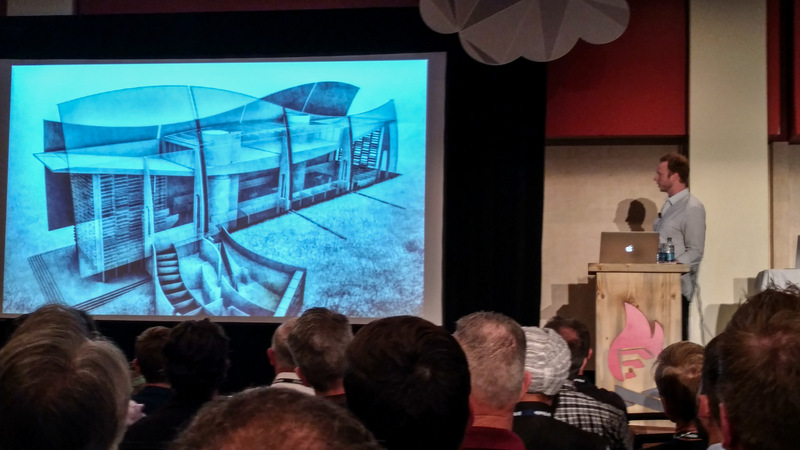 I just returned from Trimble’s 2016 3D Basecamp, SketchUp’s biannual user conference, which this year was held in Colorado’s super-beautiful resort of Steamboat Springs. This year’s iteration, which drew over 600 participants, featured five days of presentations, lots of industry sponsors, and an amazing social program. You can find my images from the trip and the events in the gallery at the end of the post. It was great to see so much emphasis by the presenters put on the use of SketchUp for big projects, which often showed data-heavy, BIM-oriented implementations. Another major emphasis was virtual reality with various viewer companies exhibiting. I even got my hands on testing the Microsoft Hololens at the event. Of course, all of this went along with presentations about good 3D modeling, rendering and visualization, and digital fabrication (there were even some cool, CNC-fabricated games and furniture, made by Eric Schimelpfenig, available in the Knowledge Cafe). You can find a complete list of all the presentations here. Trimble recorded many of them, so even if you couldn’t make it to the conference, you will likely get a chance to replay them soon (I will update this post when that happens). The keynotes were given by Alex Hogrefe of VisualizingArchitecture (Photoshop and rendering master) and Daniel Tal (master SketchUp master and resident philosopher). By the way: If you are interested in my two presentations, there is some downloadable information here and here. This was the “one more thing…” announcement at this conference. I think it’s so uber-cool, that I am even placing it before the Mobile Viewer description. my.sketchup.com is basically full SketchUp in a browser! It runs on WebGL technology, which is implemented in any current web browser, and as a result, this SketchUp doesn’t just work on Windows or a Mac, but even on Chromebooks, Linux,… It is also a reasonably full implementation of SketchUp, complete with the tools we all love to work with and the full, graphical user interface (including styles). You can open any SketchUp file with this service and save directly to Trimble Connect. 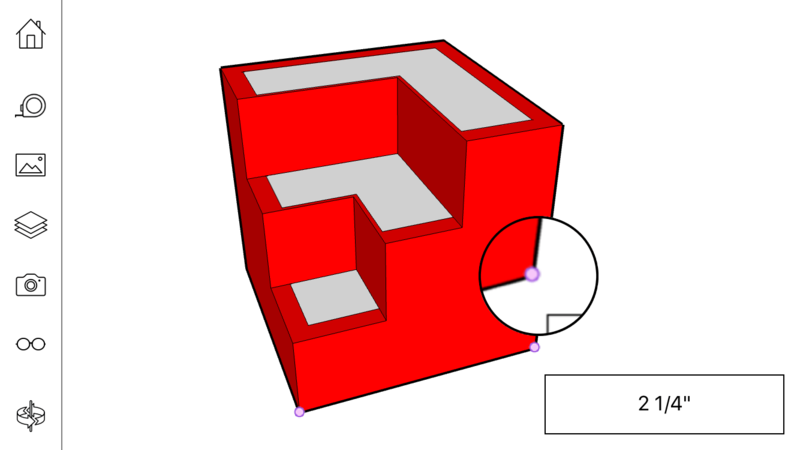 More information about this can be found on the SketchUp Blog. Although it is still in Beta, you can already request an invite right at my.sketchup.com. 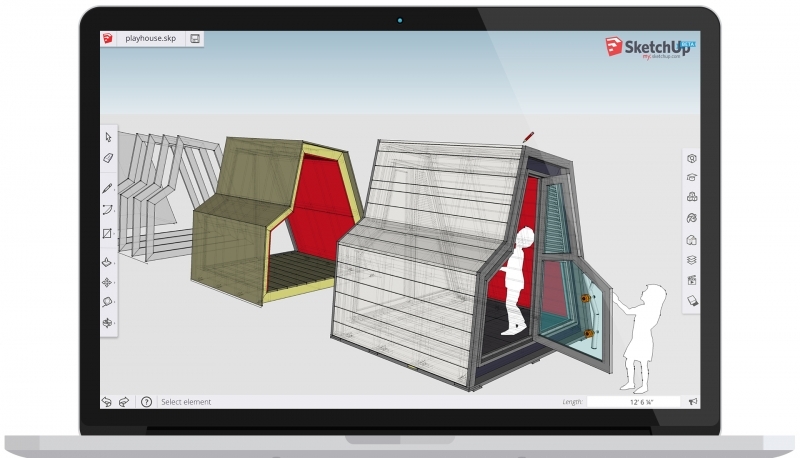 The SketchUp Mobile Viewer for iOS and Android devices also got an overhaul with added support for animations, section planes (which can be moved interactively), and – best of all – measurements. You can now measure anything right inside the viewer. More information about this can be found on the SketchUp Blog. Below is my complete gallery of photos from the trip to Steamboat Springs and the conference itself. When you come upon those, you can explore the 360-degree panoramas interactively once you open them in a separate window (click to open). Because many asked: The 360 cam I used for the panoramas is the LG 360.